Short post today since I got a new filling about an hour ago and have you heard I'm moving in two weeks? Lot stuff to do. But in the midst of all this chaos I bought a book I want to tell you about. Novel Interiors by Lisa Borgnes Giramonti with photographs by Ivan Terestchenko marries two of the things I love most in life: books (of course) and beautiful interiors. 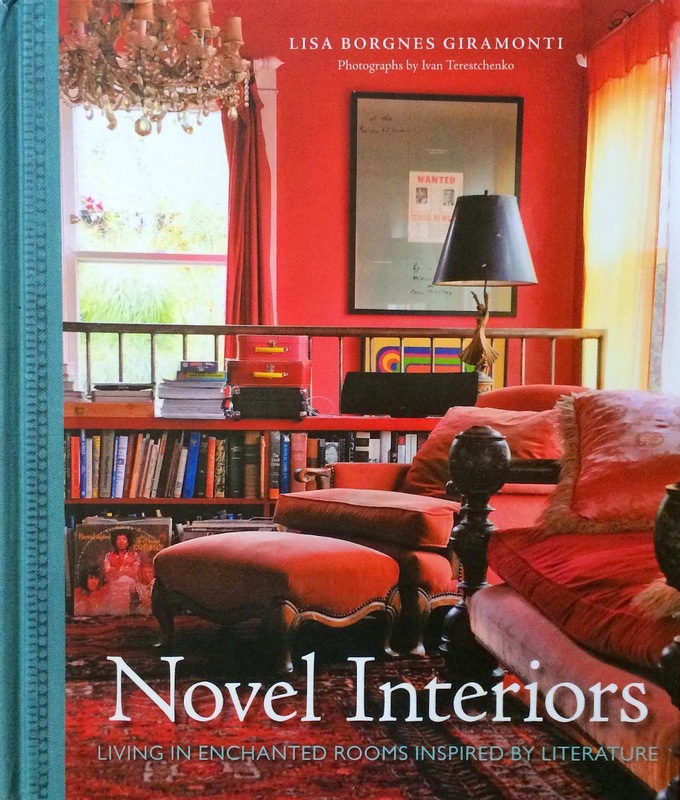 I'm not going to get too geeky with the interior design stuff here because I know that's not my audience, but if you or someone you happen to know is into literature and pretty pictures of lovely rooms, then I think this is a perfect gift. For those who have ever lost themselves in the stylish worlds of novels like Sense and Sensibility, The Age of Innocence, Wuthering Heights, The Picture of Dorian Gray, and countless others, this design book embraces the fantasy of time and place, showing you how to bring some of those elements into your own home. I like that line--"embraces the fantasy of time and place." Isn't that one of the reasons we read books? Because they transport us other times and places? This is one of the main reasons I wrote the Mistress of Fortune books. I wanted to transport the reader to a time and place in history that I love, the way I've been transported by books over the years. Okay, so Novel Interiors isn't going to change the world or anything, but it sure is nice to curl up with it in front of the fire with it and browse through pictures of beautiful rooms. I'll admit the book is just the tiniest bit pretentious but honestly, not as much as I thought it would be. Although it kind of shames me because I've only read a couple of the books it features. It's another painful reminder that I'm not nearly as well read as I'd like to be. But that's the subject of another post.